The dissenting judge however failed to consider that such ‘risk’ is expected to originate from criminals and not from either honest citizens or state authorities, and that the plaintiffs were homeless people who lack options other than to leave personal belongings unattended in public places to seek work or aid. Be that as it may, the majority of the 9th Circuit held in the instant case that under the 4th Amendment, the city of Los Angeles can seize some unattended possessions of the homeless, but must notify owners. 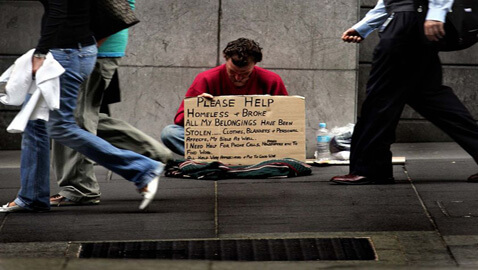 The court observed that the U.S. Constitution bans cities from randomly seizing and destroying property of homeless people – property that has been left temporarily unattended. In the present case before the 9th Circuit, nine homeless people whose temporarily unattended properties had been seized and destroyed by city officials in Los Angeles sued the city after losing their possessions. Their seized and destroyed property included personal identification documents, medications, family memorabilia, sleeping bags, blankets etcetera. Since they lost their homes, the city officials accepted they had also automatically lost all rights to the last remnants of their properties. The 9th Circuit clearly laid down in the case that a person does not lose his or her 4th Amendment protection from unlawful seizures even if violating a city ordinance to vacate an area. The court also mentioned the distasteful findings about Los Angeles city officials confiscating, seizing, and destroying property of the homeless even in the presence of the owners on occasions. The court upheld lower court orders in favor of the homeless and said the personal possessions of homeless left unattended for a short time on city sidewalks may be seized only if the possessions pose an immediate threat to public safety or health or constitute criminal evidence. Even in such cases, the court held, the city may not summarily destroy the personal possessions of the homeless without due process and must notify the owners as to where they can pick up their properties.